Manchester United have rejected an offer from Juventus to sign Matteo Darmian this month, it has been claimed. 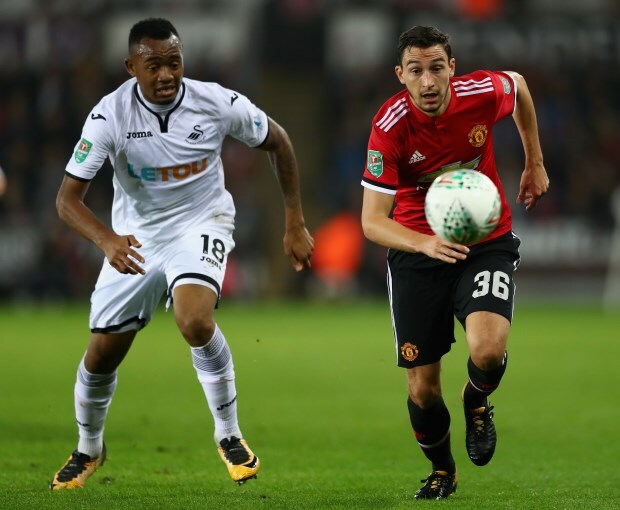 Darmian wanted to leave Manchester United last summer and return to Italy and despite interest from several clubs, a move never materialised and he stayed at Old Trafford. The Italian has continued to remain a fringe player at Old Trafford and there are suggestions he has again been attracting interest from a several top Serie A clubs this month. It was mooted that Manchester United have agreed to sell Darmian to Juventus, but it has now been claimed the two clubs are far from agreeing on a deal at the moment. According to Italian outlet Tutto Mercato, Manchester United have knocked back an offer from Juventus to sign the defender on loan with an option to buy in the summer. Juventus tabled a bid worth €2m in loan fees and wanted an option to sign him on a permanent deal worth €8m at the end of the season. Manchester United want Juventus to double their offer of the loan fee and want to include an obligatory purchase option in any agreement. The club have taken up the option of extending Darmian’s contract for another year to not risk losing him on a free transfer next summer.